Call Senator Toomey today/ or visit his office and share these reasons why he should represent Pennsylvanians with a “NO”vote! Senator Toomey, this Bill is bad for Pennsylvania and it will devastate the health and well-being of your constituents. Medicaid and the Children’s Health Insurance Program (CHIP) provide health and long-term care coverage to more than 2.9 million low-income children, pregnant women, adults, seniors, and people with disabilities in Pennsylvania. This bill will hurt the children of Pennsylvania. Nearly 20% of the children in PA live in poverty. It will hurt the women of Pennsylvania. It negatively affects women’s access to preventive health care and maternity care. 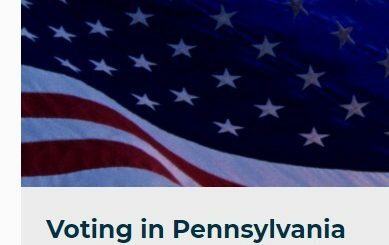 It will hurt the elderly of Pennsylvania. Thirty-six (36) % of Medicaid spending in PA is for Medicare beneficiaries. It will lead to more low-income uninsured in Pennsylvania. Twenty-eight (28) % of Pennsylvanians are low income. It will limit Pennsylvania’s ability to respond to public health emergencies at a time when we are besieged by an opioid epidemic along with a rise in syphilis and HIV. This Bill will cause your constituents to suffer greatly. It will lead to early death for some and great anguish and insecurity for many. Senator Toomey, please stand for Pennsylvania. United States Federal Building 228 Walnut St.